Many older Scouts, Varsity Scouts, Explorers and Venturers consider high adventure the highlight of their outdoor Scouting experience. Older youth seek out these programs; it’s what keeps them involved in Scouting. High adventure challenges and inspires them—and their leaders—and broadens the appeal of Scouting. This is why Scoutmasters and Advisors must make high-adventure opportunities a priority, promoting participation by unit members who are qualified for these elite outdoor activities. High adventure often transcends conventional Scouting activities. High adventure includes things like: bicycle touring, caving, horse packing, mountain biking, rafting, rappelling, rock climbing, sailing, scuba diving, skiing and snowboarding. The best high-adventure treks are planned, led, and carried out by youth. The purpose of Scouting is to help youth grow and mature and learn how to be prepared. Summit Bechtel Reserve in West Virginia. Of special note is the fact that Patriots’ Path Council has created a program aimed at preparing Scouts for a trip to Philmont. 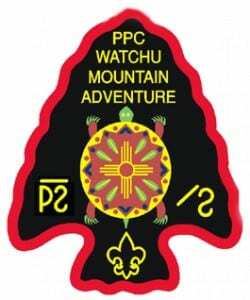 The Watchu Experience is an 18-month-long program of teenage high adventure, capped by a backpacking trek at Philmont Scout Ranch near Cimarron, New Mexico. It is the nation’s best Philmont preparation program and has been featured in Scouting magazine. Patriots’ Path Council, through our program run by experienced Philmonters, makes it easier than ever to be a part of this unique and exciting Boy Scout high adventure program. Beginning Jan. 1 of each year, groups of 8-12 people may apply. Individuals may apply at any time. Applications are available December. The Watchu Mountain Adventure weekend caps your training. Find out more at watchu.org. And see the Philmont YouTube channel for more videos. An Adirondack trek at Sabattis Adventure Camp the summer before you attend Philmont is a great way to help your crew prepare for a Philmont trek. In addition to having a great adventure, you will learn many of the teamwork skills necessary for your Philmont trek. With a Watchu Sabattis Adirondack Trek you bypass the Watchu Philmont lottery, guaranteeing your crew a Philmont experience, receive priority travel date selection for your Philmont trek and you can receive a discount on your canoe trek. This popular program is limited. Applications for the combined program are available in August. Patriots’ Path Council’s has begun participation in the BSA’s newest high adventure base in West Virginia. Participants choose from six great focused programs at The Summit: The River, Helmets & Harnesses, The Marksman, Tires & Trails, Berms & Bars, or Ramps & Rails. Can’t decide? Select the Summit Experience and try them all. For more: See the application/brochure. The Adirondack Park is one of the country’s greatest wilderness areas, filled with beautiful lakes, streams and mountains. Get away from everyday life, and join us this summer on an Adirondack Trek. Choose from treks focused on canoeing, hiking, fishing or and combination treks. You put together a crew of 7 to 10 people for the Adventure of a Lifetime. Participants must be at least 13 years old, and one adult 21+ must be part of the crew.